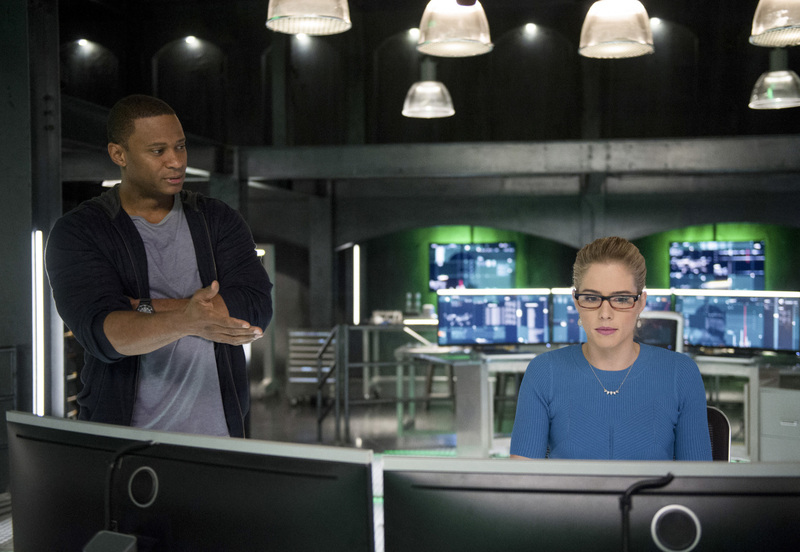 Arrow -- "Fighting Fire With Fire" -- Image AR515b_0019b.jpg -- Pictured (L-R): Stephen Amell as Oliver Queen, Josh Segarra as Adrian Chase, and Willa Holland as Thea Queen -- Photo: Diyah Pera/The CW -- ÃÂ© 2017 The CW Network, LLC. All Rights Reserved. 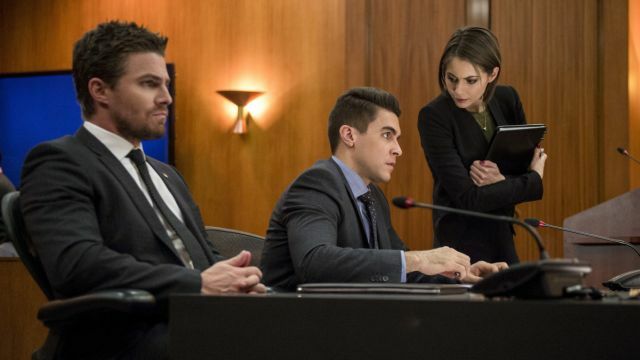 The CW has released the first batch of photos for next week’s episode of Arrow, and you’re not going to believe this, but Oliver Queen is in all kinds of trouble again, but this time in his regular life. Check them out in the gallery below!